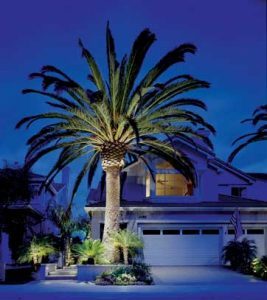 We design and install functional and beautiful lighting systems to create the maximum effect on your yard and home at night. We proudly install FX Luminaire products. We design and install lighting systems to allow for maximum performance and assure extended bulb life. We offer a three year warranty against defects in material and workmanship on FX Luminaire lighting systems. Outdoor lighting adds beauty and an elegant look to your home, it also can improve your security. Well lite homes can also protect your home from wandering people, including neighborhood kids that can visit at the wrong time. 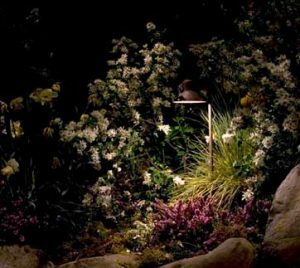 Planned correctly, outdoor lighting can be very affordable, even in these environmentally sensitive times.